A very foggy day for our first wedding of 2017…. Jono, Charli and the kids flew all the way from Canada for their big day at Charnock Farm last month and although we had some pretty grey weather, the wedding was so much fun to shoot. On the run up to Christmas we decided to shift gears a little in regards to our Vlogging and created 5 short videos which gave a little ‘Behind the Scenes’ action. Now that we have just entered a brand new year its time to retreat into the editing cave so we can catch up with our project backlog and refresh ourselves for a new wedding season so our vlogs will take a little break for now but we will return very soon. Sara & Chris tied the knot in their home town of Oswaldtwistle before heading off to Bartle Hall for their wedding reception. 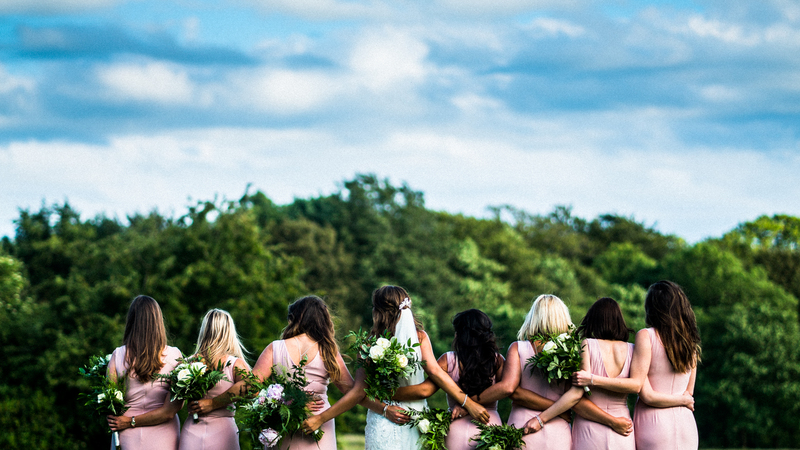 Mr & Mrs Burton’s AWESOME WEDTEAM included Kerry Woods Photography, Sam Fitton Magician, The Deadbeats, Ewood Florist, Malvern Wedding Cars and Creative Cover Hire. The Facebook version will be available here shortly. James Places have just opened their new wedding venue in Clitheroe and we were asked to produce 2 videos fro their web and social media pages. Holmes Mill is a very quirky location for a wedding and we absolutely fell in love with it as soon as we arrived. Holmes Mill Wedding Showcase from RT Productions on Vimeo. Holmes Mill Wedding Photo Shoot from RT Productions on Vimeo. Thank you to everyone who came to see us at the Mitton Hall & Bartle Hall Wedding Fayres. The Great FLOWER DESIGN Off is raising money for The North West Children’s Support Group and we had lots of familiar faces from the wedding world taking place. The Great FLOWER DESIGN Off: Round 1 from RT Productions on Vimeo. The Great FLOWER DESIGN Off: Round 2 from RT Productions on Vimeo.